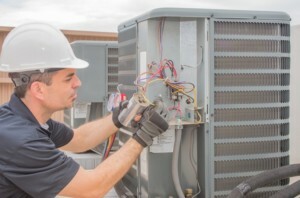 Refrigeration services from installation to maintenance and repair. Brant Mechanical is your expert for refrigeration service. Providing service, repairs and maintenance on all sizes and types of reach-in coolers and freezers. Have your equipment tested, reviewed and maintained by Brant Mechanical. A broken walk-in cooler or freezer is more than just an inconvenience. Brant Mechanical will diagnose the problem and get you back running as quickly as possible, on your schedule. To maintain and monitor your refrigeration unit, Brant Mechanical can provide you with all the resources to have full control over system status. The tools needed keep a steady, cool temperature are critical to a refrigeration unit. Air-cooled, water-cooled, or a combination of both, Brant Mechanical is available to assist. Lack of maintenance can cause compressors to burnout or seize up. Our experts are trained to meet all of your maintenance, installation, repair or replacement needs. Problems with your refrigeration fan motor can lead to problems with other parts of the unit, causing a major inconvenience. Brant Mechanical has the tools and experts to repair and replace any damage.